Combine tickets to several museums and food producers around Modena with one convenient passport ticket. 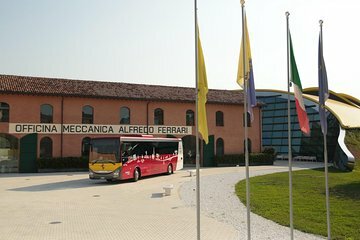 All destinations, including the Ferrari Museum in Modena and the Pavarotti Museum, are connected by a dedicated transportation service. Learn about Italian luxury cars, taste balsamic vinegar at the source, and see how Lambrusco wine is made during this full-day excursion.